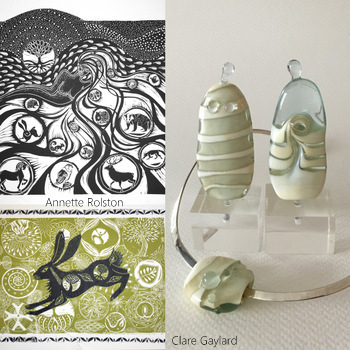 It's early days but we are making plans - The Quay Gallery at Snape Maltings, May 3rd-9th 2018; 'Glass, Print and Ceramics'. 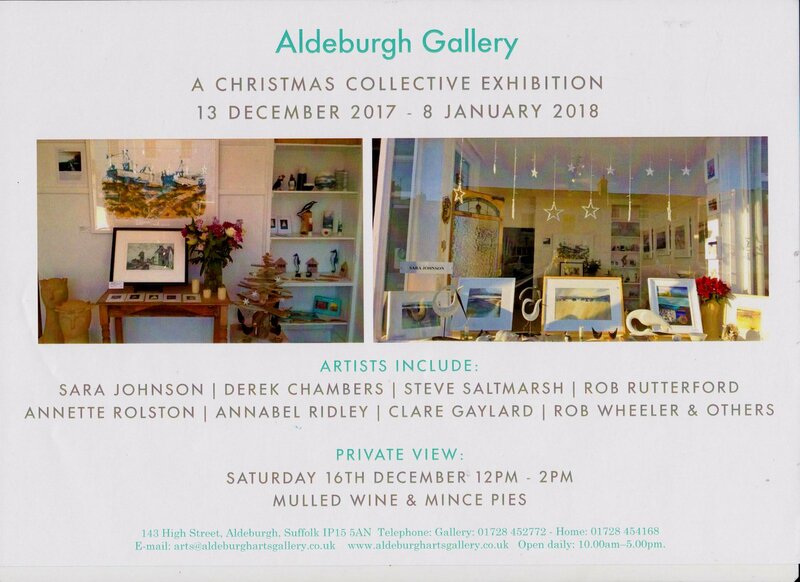 At Aldeburgh Gallery until January 8th 2018, a lovely exhibition - I just added two cases of recent work. Yesterday the roads and fields were blanketed with snow and ice - today it all gone, it felt like a mirage. 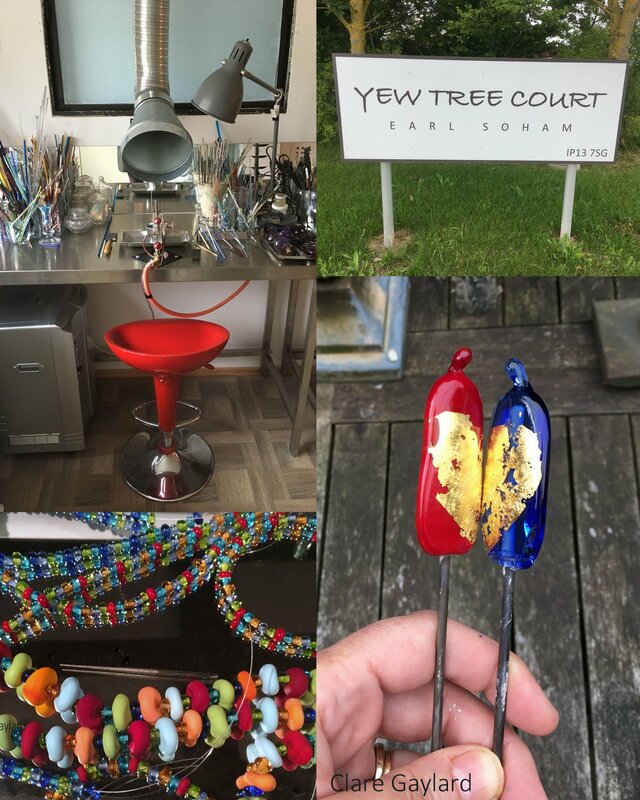 My doors will be open from 11am - 5pm for visitors and demonstrations - I think that having the glass is only half the experience, the making needs to be seen. Directions here. I'm still unpacking and sorting from two hectic and inspiring weekends at Blackthorpe Barn - showing work for the first time in a new space - which happens to be medieval - is something of a challenge. I met some very skilled and talented makers and will be looking forward to staying in touch. At the Suffolk Craft Society exhibition at the Suffolk Foodhall until December 17th. At Great Walsingham Gallery & Framing from November 18th. 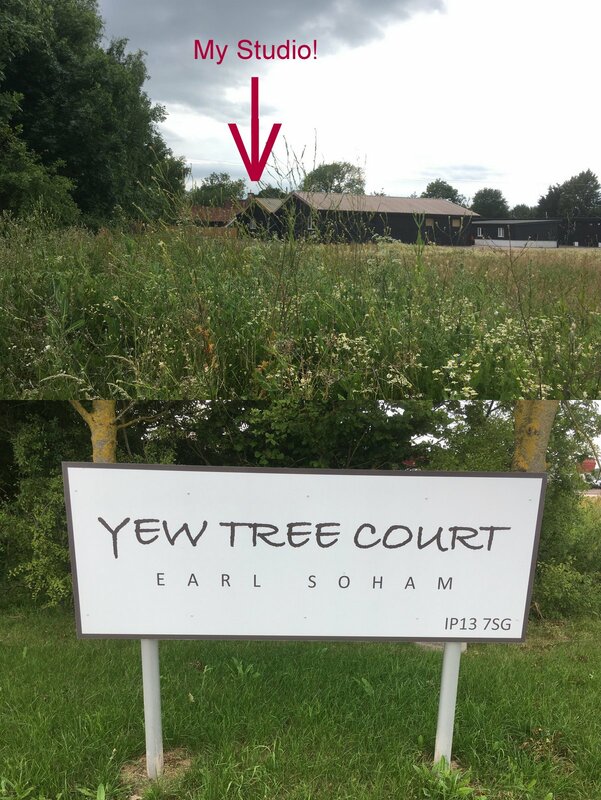 Finding my studio once in Yew Tree Court has been a thing- as you leave the main road, look left and you will see these barns on your far left. Follow the drive left and you will end up between my studio and the main road. Good Luck! These are hot days to sit at a torch, next to a kiln..... we are calling it suffering for art. Some lovely long stringers from a confident hand in a starter class. I've taught two starter workshops in the last Open Studio week (amongst other things) and enjoyed them very much. I have a strong preference for teaching flamework one-to-one because it requires so much focus. I also really enjoy how different characters and approaches yield such personal work from the outset. Thanks to Gayle for this photo of her glass. 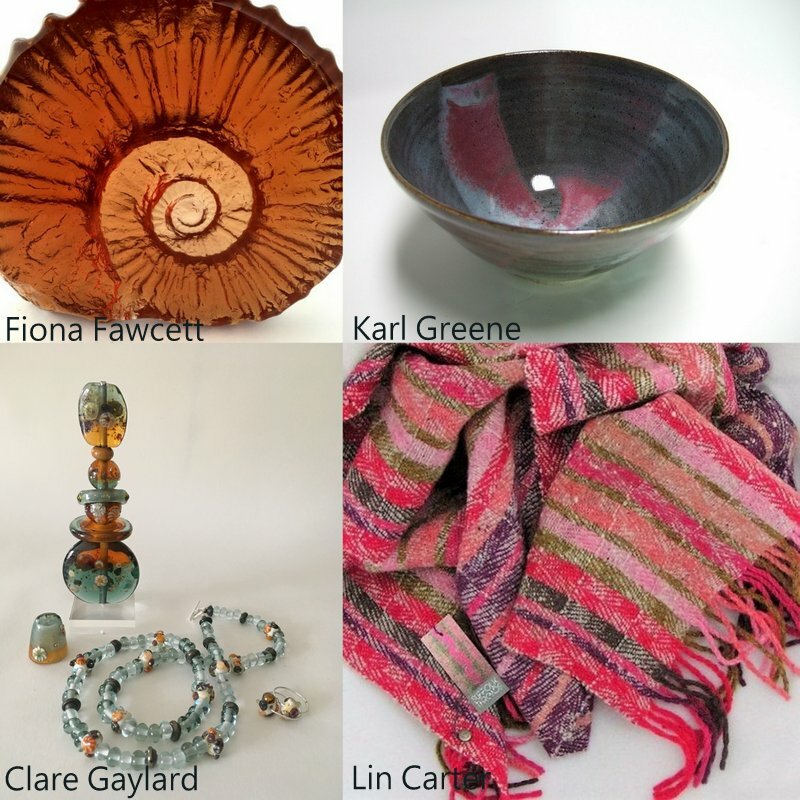 You can find full details of our trail on the SOS website, Lorette, Jayne, Robin and I are open all four weekends 11am-5pm. The weather is on our side again - I'm at Aldeburgh Gallery until the end of Wednesday 18th May - fabulous fish&chip shops on either side and the seafront through an arch on the other side of the road. My third time exhibiting at The Quay has just finished and it was a pleasure. Snape Maltings has its very own atmosphere of sublte, expansive, beauty. This is the first time I have seen The Cygnet under sail, looking appropriately sculptural in the company of works by Barbara Hepworth and Henry Moore. We are looking forward to opening at The Quay Gallery next Friday. 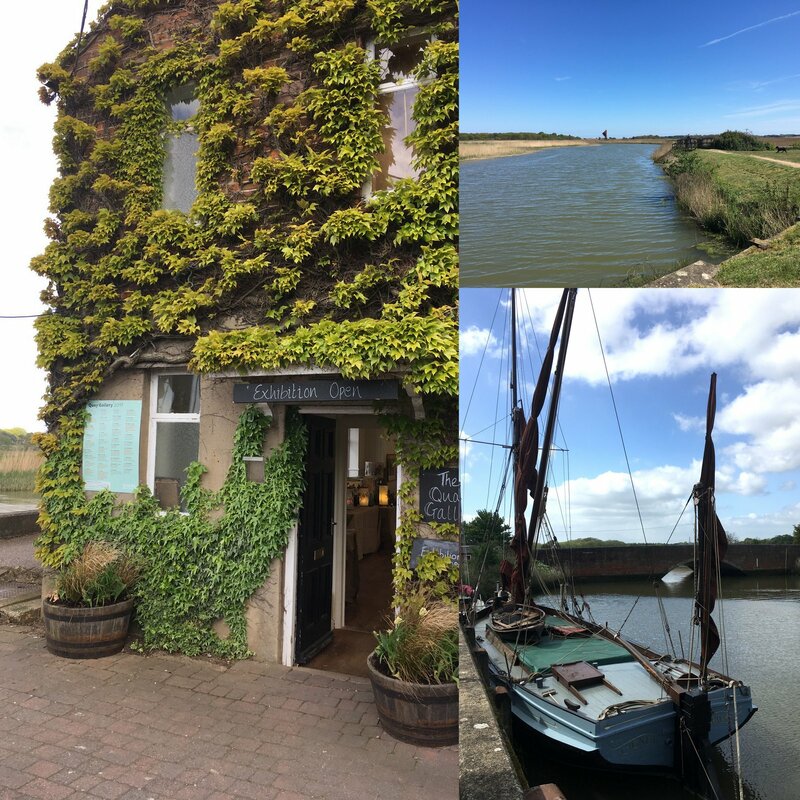 Snape Maltings is a cultural centre in a designated 'Area of Oustanding Natural Beauty' so there is plenty to do and see aside from our printmaking and flamework glass. An exhibition at The Quay Gallery this May with Annette Rolston, details to follow.